What a great idea! 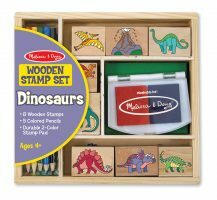 This is a wooden box containing four 12-piece puzzles in 4 compartments. The top of the box has a frame for constructing the puzzle. 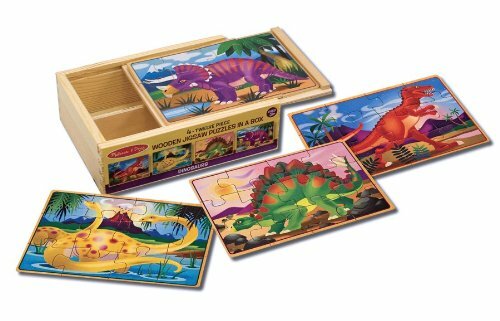 Featured dinosaurs in each puzzle are: Triceratops, Tyrannosaurus Rex, Stegosaurus, and Pteranodon.